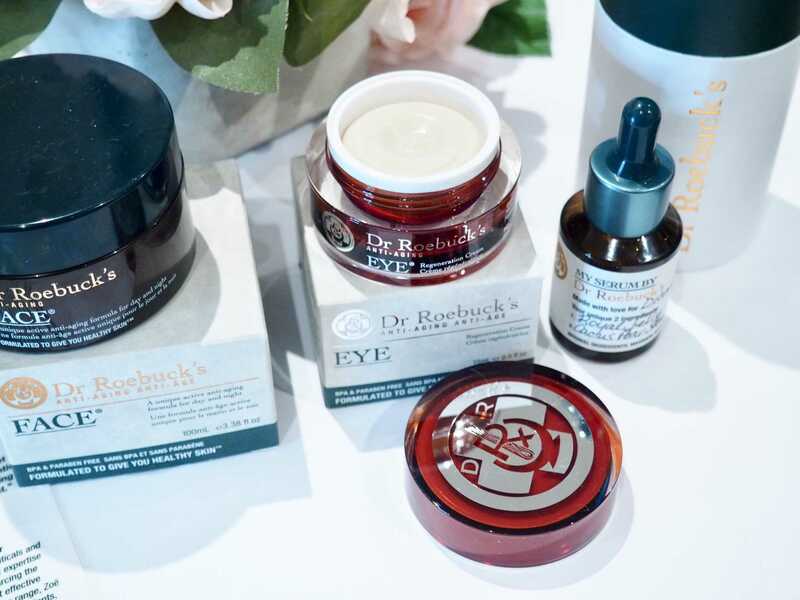 I love that Dr Roebuck’s is taking a personalized approach to skincare. Not everyone has the same skincare concerns. I visited the Dr Roebuck’s counter at Holt Renfrew on Bloor Street and had my own serum custom made. I love that they use minimal ingredients in their products. First developed in Sydney in 1978 by their physician parents, Dr Roebuck’s PURE was created as a natural and effective treatment for the Eczema of identical twins Kim and Zoe Roebuck. 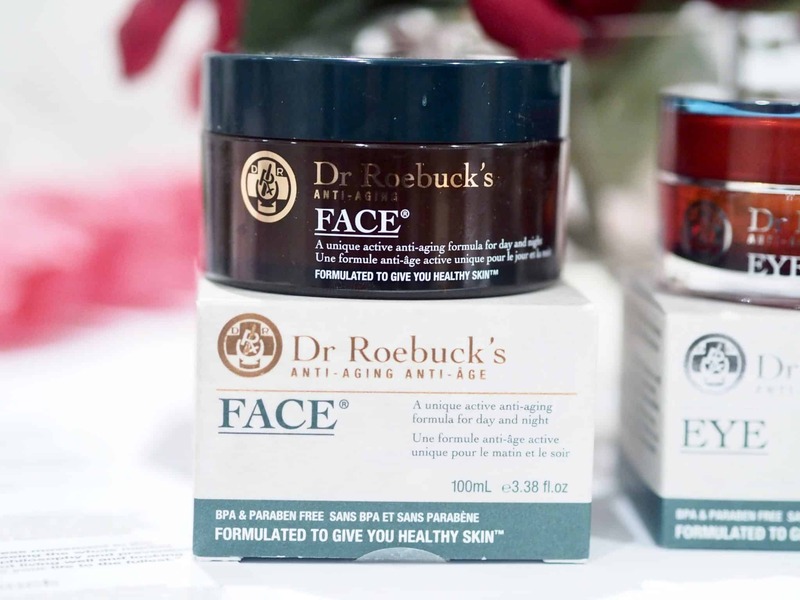 Kim and Zoe continue to expand the Dr Roebuck’s skin-care range remaining true to the original values that skin is better off with products that only contain the quality ingredients it needs. 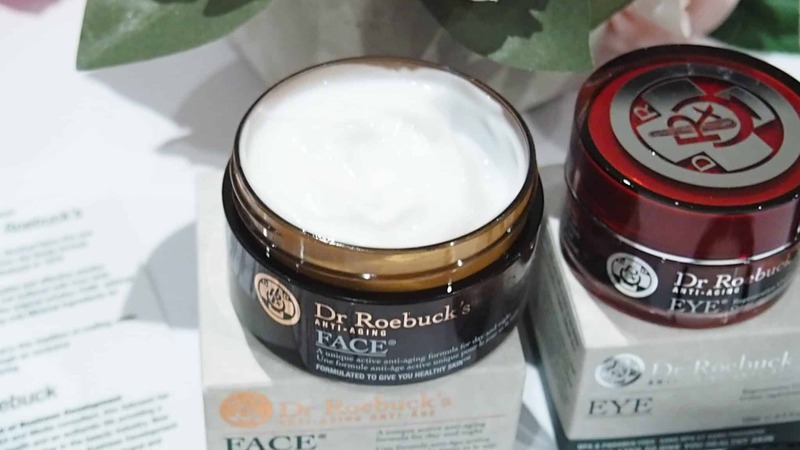 All Dr Roebuck’s products are formulated in Australia and reflect its healthy lifestyle and natural beauty. The importance of beauty on the inside as well as the outside and the value of embracing an active lifestyle are central to their approach. 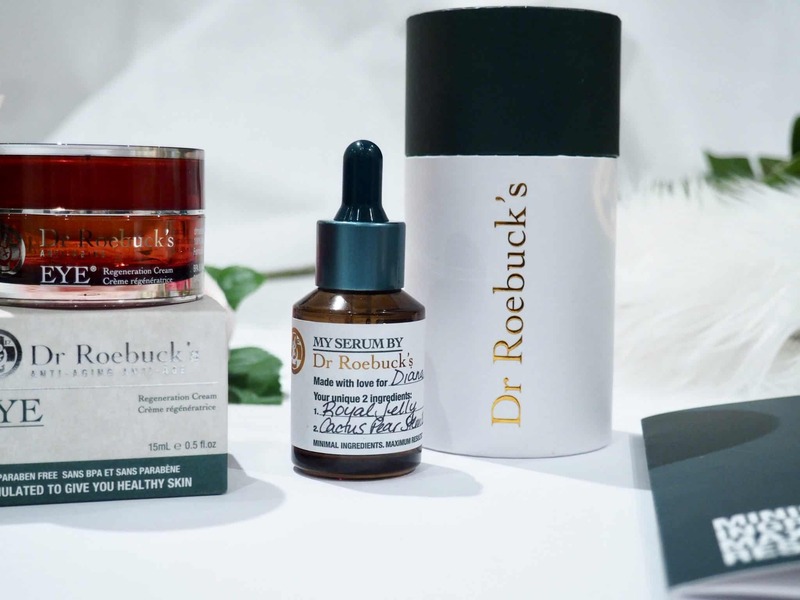 I love that the Dr. Roebuck’s Bespoke serum is personalized to my skincare needs. I completed a questionnaire that recommended ingredients specific to my needs. My personalized skincare serum was made as I waited. The two unique ingredients to my skincare needs are Royal Jelly and Cactus Pair Stem Extract. The serum is already infused with a super active base of ingredients such as Vitamin A, Vitamin E, Carnosine (antioxidant to fight radicals and reduce wrinkles), Hyaluronic Acid, and Vitamin C. The Bespoke Serums are individually tailored to address 22 skin concerns. Hyaluronic Acid: A powerful anti-aging active that assists in retaining moisture in the skin. Carnosine: Powerful antioxidant to fight free radicals and hep reduce deep wrinkles. Vitamin A: Reduces wrinkles and helps stimulate the production of collagen. Vitamin C: Promotes skin hydration and reduces the appearance of fine lines while brightening the look of your skin. Vitamin E: Helps to block the negative effete of free radicals and assists in reducing the appearance of fine lines. Royal Jelly has anti-inflammatory and antioxidant properties allowing the generation of new and healthy skin. Cactus Pear Stem Extract deeply hydrates and firms the skin, while promoting cell regeneration. The texture of this serum is very light and is absorbed quickly into the skin. I have been using it for a week and love how it makes my skin feel. I have been using it morning and night. In the morning I apply the serum then I apply FACE on top. FACE is a super smooth face cream that moisturizes, repairs, and prevents signs of aging. It has only 11 ingredients, including 4 essential oils to soothe, combat fine lines and wrinkles, and promote the skin’s natural reparative process. At first this cream appears to be thick and I thought it was going to make my skin super oily. My skin totally soaked this stuff up. Although I have oily skin, it is dehydrated. This makes my skin feel plump and vibrant. I have been using FACE as my makeup primer. It doesn’t leave me oily and my makeup glides on and stays on. Rich, natural, eye cream designed to rejuvenate the eye area while reducing the appearance of dark circles and puffiness. Infused with potent, naturally occurring amino acids and antioxidants to promote skin cell renewal while hydrating all layers of the dermis and epidermis. This cream is super creamy and applies smoothly. It has a buttery texture that is immediately absorbed into the skin. You can’t forget the eye area – there are no oil glands there so likely the first place to see wrinkles. 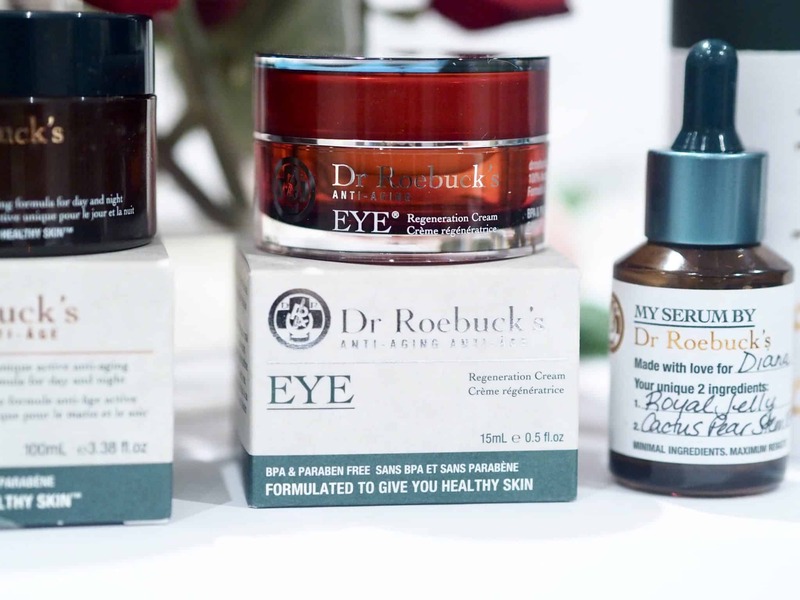 I love that Dr. Roebuck’s products are free of fillers, perfumes, and colourants. Simple but effective. 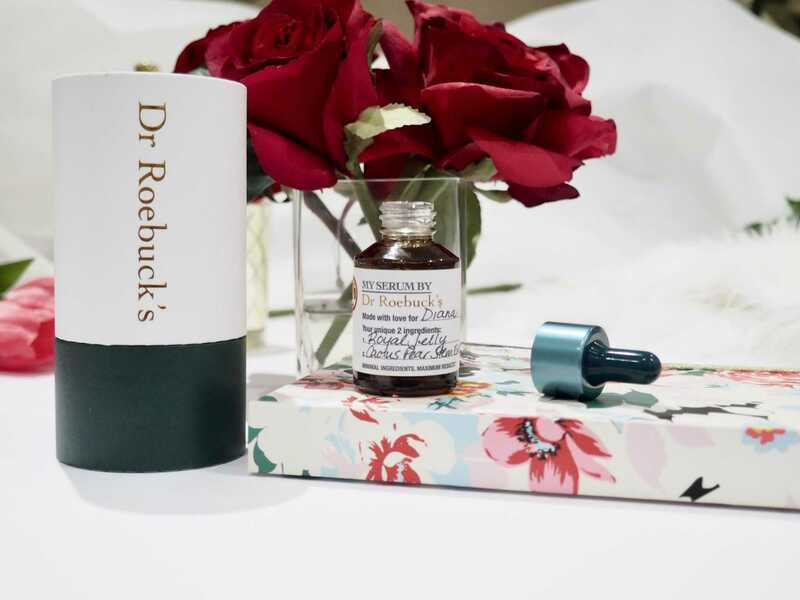 If you are in Toronto I would highly recommend a visit to the Dr Roebuck’s counter at Holt Renfrew on Bloor Street for your own custom Bespoke serum – but hurry as the pop up is only there until April 30. 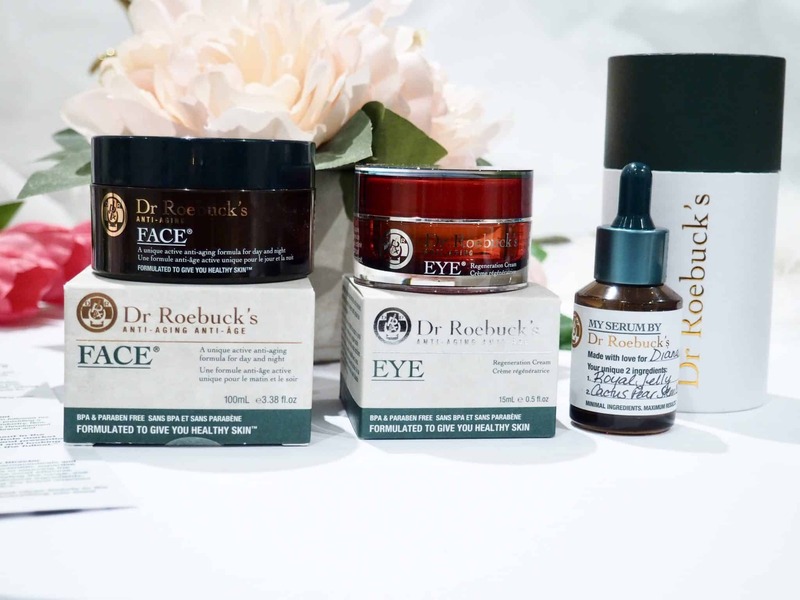 Have you tried any Dr Roebuck’s products? The bespoke serum sounds wonderful! I’ve heard a lot about Royal Jelly. It is a great brand.